Great for any outdoor activities,skiing, snow boarding, camping. If any problem, please contact and we will do the best to solve. Cold in Winter? Looking for a warm set for youself? Bothered which gifts given for your friends or family in this Thanksgiving and Christmas? 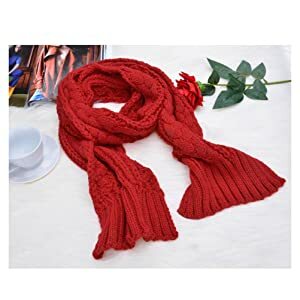 Here, Jelinda Knit Beanie Scarf Set is waiting for you. Best option of gifts for friends and families.